I started to highlight the sentences that inspired me, as I often do, with the intention of citing Barry Knight’s Rethinking Poverty in my own lectures or writings, but I found myself highlighting whole paragraphs. This book is much more than a book on poverty. It is about creativity and leadership, about power relations and how they can be sterile when exercised from the top down. It is about trust in people, about respect and decency. It is a homage to men and women driven by the values of social justice. No expert in any development agency would dare write that we need a model of leadership based on services framed in love. Yet isn’t love what we lack most in the social order that our governments have created for us? Who are we expecting to help us free ourselves from the trap of a world organized without love? The bad news of this book is in its implicit conclusion, namely that poverty will not be eradicated without a fundamental change in the way people relate to each other and the way those who hold power define and exercise it. ‘Vaste programme’ is what General de Gaulle used to say. Yet the power of this book lies in the way it bigs up seemingly ordinary people and reduces the role of those who think they are big. 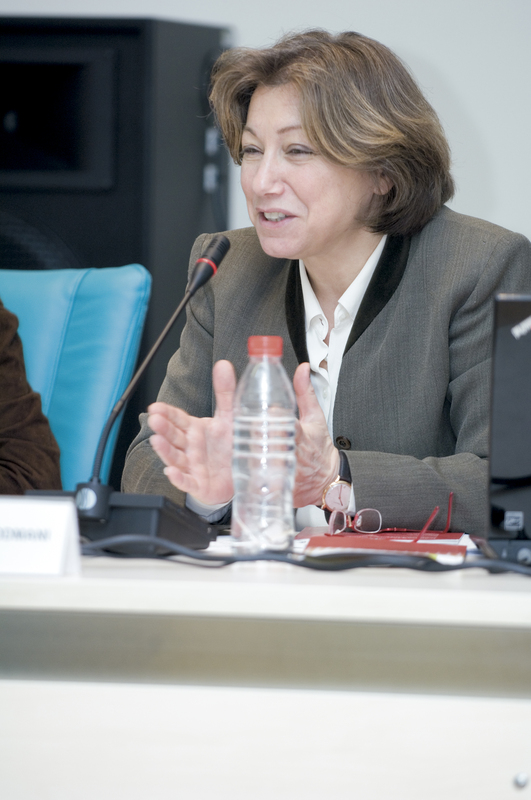 Bassma Kodmani is a co-founder and executive director of the Arab Reform Initiative.